In this tutorial, I will show you how to create swirls and leaves in Adobe Illustrator. These swirls and leaves are very popular. There are so many different swirls and leaves you can create in Adobe Illustrator. 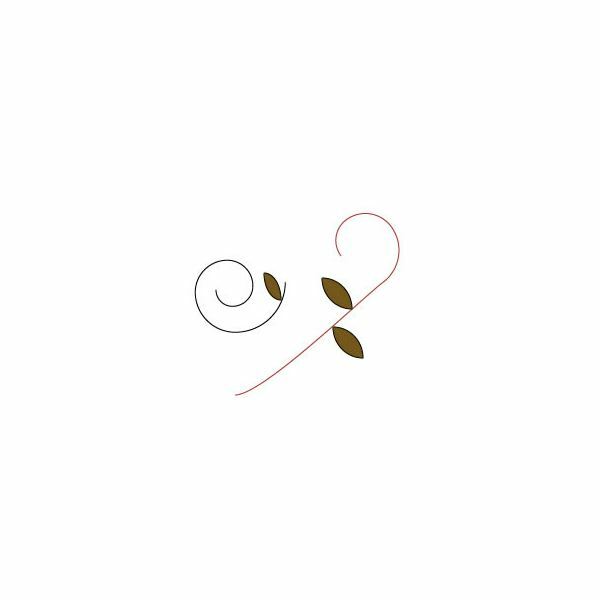 The quickest way to create these swirls and leaves is by saving them as brushes. Then you can zip right through creating the swirls and leaves. I will also show you how to save the brushes. Go ahead and create a new RGB document to work on. Create it the size you want it. It is best to start off with a large document so you will have room to work. We will start off by creating the swirls. Most swirls created in Adobe Illustrator are created using the spiral tool. So, grab the spiral tool in the left toolbox. The spiral tool in under the line menu. Once you have chosen the spiral tool, click your document. When the box opens, change the properties to what you want. Then click the OK button on the box. That will place your spiral on the document. Now, select your Direct Selection Tool from your toolbox on the left. That is the white arrow. Hold down the shift key and click a point on the swirl. You will notice the points turn to white. Now you can click the point of your choice on the spiral and move it. Adjusting the points will create the swirls you are looking for. If you do not know how to use your spiral tool, please see this tutorial. You can also create the swirls using the Arc tool found in the Line menu. Drawing an ark and adjust the points will create swirls. Creating the leaves are done using the Arc Tool. You will need to select the arc tool and draw two arcs. Draw them in opposite directions. Then place the two arcs together. That will create your leaf. You can create leaves in different sizes and colors. If you would like to place a line in the leaf, select your line tool and draw a small line in one end of the leaf. Now, I will show you how to save the brushes. You will need to open your brushes panel. You can open the panel by clicking Brush Libraries > User Defined > Leaf. When the box opens, grab a swirl or leaf on your document and drag it to the brushes panel and drop it. That will place the new brush in the brushes panel. In CS3, leaves are available for you to choose from. You will notice in the box I just told you to open, there are a few leaves in there for you to choose from.